Names: What's In A Name? Includes guides for various ethnic groups. Has a section for Passenger lists, but there are very few there. The site is mostly interesting for its eclectic collection of news and for ship information. Part of Ancestry Support Search & Records. A History of Russia covers the entire span of the country's history, from ancient times to the post-communist present. Keeping with the hallmark of the text, Riasanovsky and Steinberg examine all aspects of Russia's history--political, international, military, economic, social, and cultural--with a commitment to objectivity, fairness, and balance, and to reflecting recent research and new trends in scholarly interpretation. Abbreviation PILI. Also called Filby. Covers published lists. Description: "A Reference Guide to Published Lists of about 500,000 Passengers Who Arrived in America in the Seventeenth, Eighteenth & Nineteenth Centuries." The most important source for ship and immigration list information. It is a name index to thousands of passenger lists which have been published in books or articles. Covers passengers who came to the United States and Canada in the 17th, 18th, and 19th centuries. The cumulative supplements contain thousands of additional records:1982-85 Supplement, 4 vols. ; 1986-1990, 3 vols. ; 1991-1995, 3 vols. ; 1996-2000, 3 vols. ; 2001-2005, 3 vols. Use the index and supplements to identify a published source. Note: do not neglect the supplements; they cover newly published resources. Once a published source is identified, use DELCAT Discovery to see if the source is available in this library. The Passenger and Immigration Lists Index (PILI) is available online in the paid subscription to Ancestry.com. It is not available in Ancestry Library Edition. This is a list of several hundred published ship and passenger lists which have not yet been indexed in the Filby PILI. These lists will be indexed as more PILI supplements are published. Index includes places and ethnic or national groups. Describes the Swedish passenger lists included in Scharf History of Delaware. New York - Welcome to the land of freedom - An ocean steamer passing the Statue of Liberty: Scene on the steerage deck. 1887. Woodcut. Immigrants on deck of steamer "Germanic." Illus. in: Frank Leslie's illustrated newspaper, 1887 July 2, pp. 324-325. From Library of Congress. In addition to immigration sources, other sources may give important clues for immigration research. The census is an excellent example of this kind of source. Census schedules may help pin down a date and a country. 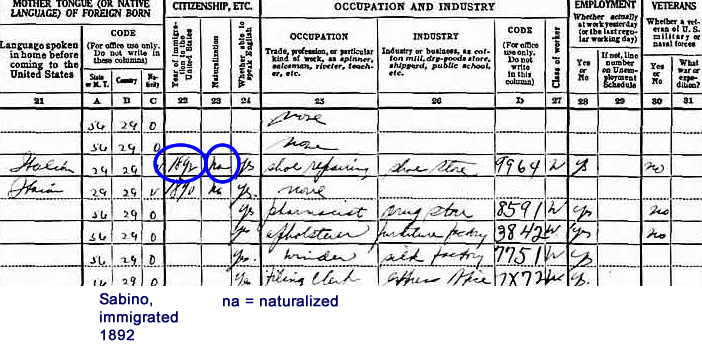 Census questions have asked questions about naturalization/immigration from 1880 to 1930. 1850 to 1870 asked the birthplace of each person. Including family lore, census records, etc. Although not aimed at genealogy and family history, the collections of the University of Delaware Library (Morris Library) include materials useful to genealogists and family historians. 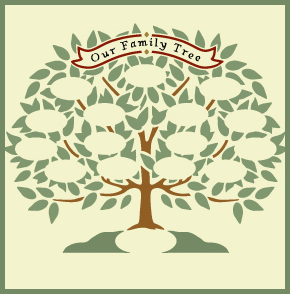 This Genealogy Research Guide is provided as a service for genealogists. It presents topics and resources to assist researchers. The UD Library does not specialize in genealogy and does not have staff responsible for genealogy. Library staff cannot conduct research. For questions about library resources and holdings, use the Ask the Library service. For questions about getting research assistance, see the suggestions on the home page of this guide or on the topic/resources pages. Italian Genealogical Records: How to use Italian Civil, Ecclesiastical & Other Records in Family History Research by Cole, Trafford R.
Description only: not at University of Delaware Library. Available through Interlibrary Loan and through the Delaware Public Libraries. A step-by-step handbook to for researching your Swedish ancestors. Includes information on Swedish naming practices. 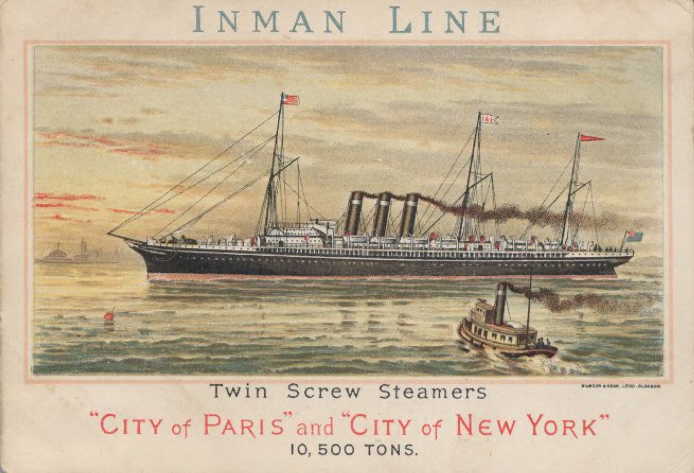 From "Passenger Ships and Images," Ancestry Library Edition. A directory of ships, giving arrivals, departures, port of embarkation, and more. Arrangement is by year and steamship company. Searchable digital images of the New York Times from 1851 to 3 years ago. Good place to look for ship arrivals (names of ships). Useful search term: "marine intelligence". Can search or limit by date. Select "Immigration & Travel" from the Ancestry home page, then select "Ship Pictures & Descriptions." 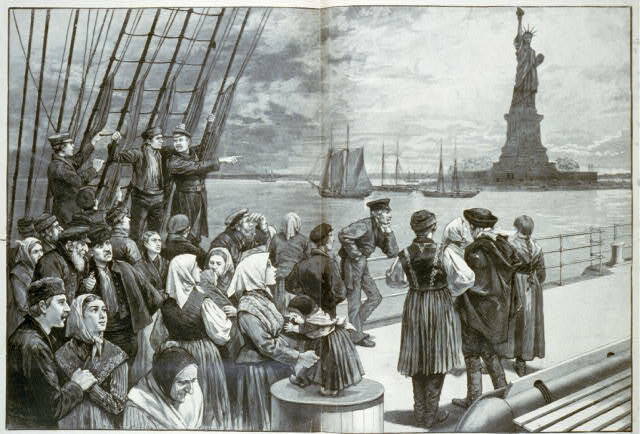 Search Port of New York Immigrant Arrival Records. Includes Ship Search.